What is the definition of the term "bounty" in the world of poker? 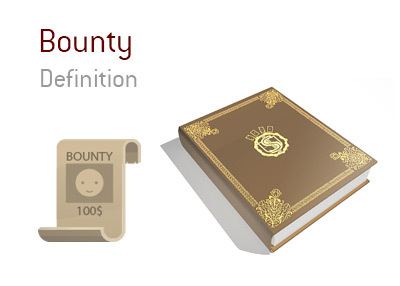 What does the term "bounty" mean in the poker world? In the poker world, a bounty is an amount of money that is given to one player who knocks out another. For instance - let's say that there is a charity tournament that features a number of celebrities. Tournament organizers might award $100 bounties to the players who knock out the celebrities. Bounty tournaments are very popular on sites like Pokerstars as well. 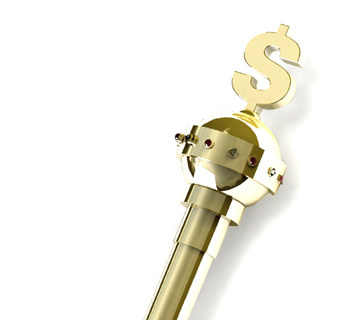 In these tournaments, money is taken out of the general prize money pool and awarded in the form of bounties. For each player that you eliminate, you will collect a bounty, which ranges in size depending on how many people your opponent has knocked out. In most online tournaments, players immediately collect a bounty when they eliminate another player, while another chunk of money is added to their own personal bounty. Bounty tournaments change the way that smart players play, as it can be advantageous to make marginal calls on all-in players are taking into account the size of their bounties.